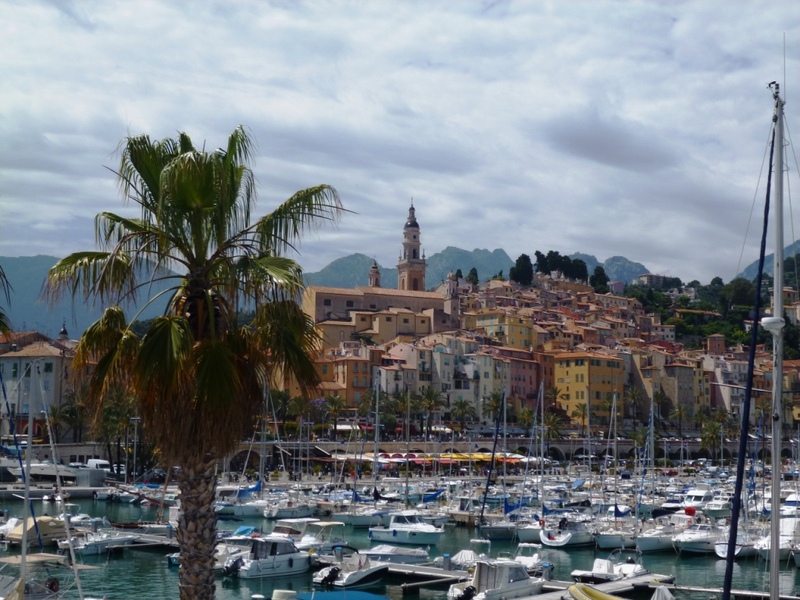 However, the multi-cultural identity of Menton is not just due to its proximity to Italy: until 1860, the town, along with neighbouring Roquebrune Cap Martin was part of the Principality of Monaco. Since these two communes were the main revenue-raisers of the country, through both olive groves and especially citrus plantations, as opposed to the governing powers in the Rock of Monaco who had no natural resources at their disposal and who were, in their eyes, overtaxing them, they decided to secede from the Principality in 1848 and joined France in a referendum in 1860. Obviously, the outcome of the referendum may have been slightly different now with the benefit of hindsight, but history cannot be rewritten! 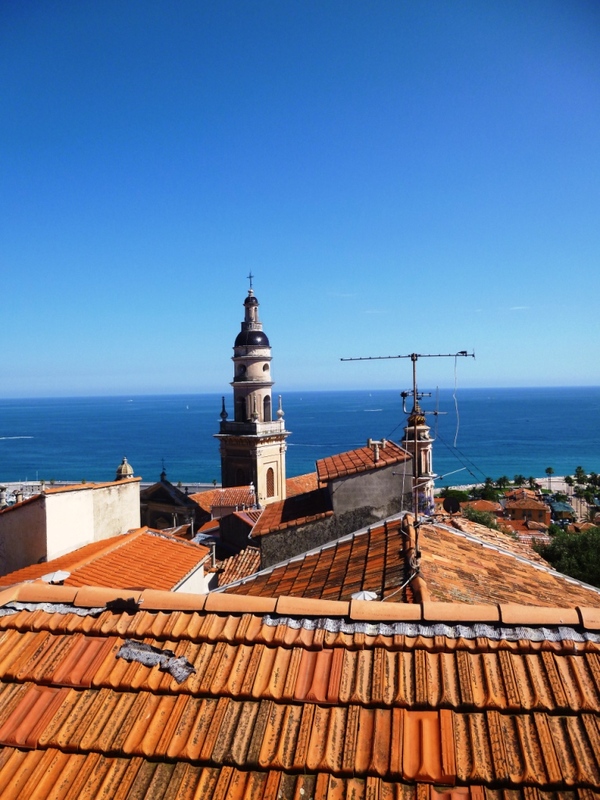 During the Belle Epoque at the end of the 19th century, Menton was regularly visited by the rich and famous from Northern Europe and the influence is still felt today with some weird and wonderful architecture dotted all over the town. 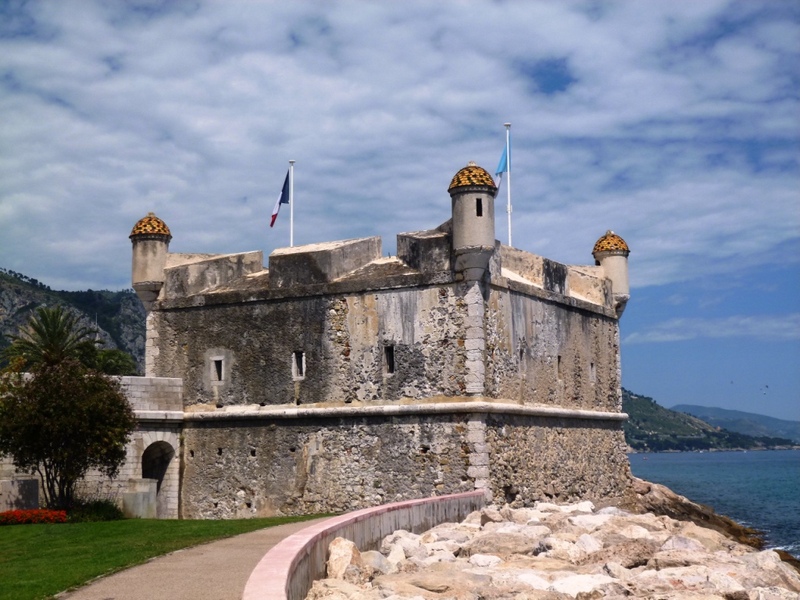 As I mentioned, what made Menton famous at the time was the culture of citrus fruits, especially lemons, which were renowned for their delicate flavour thanks to the exceptional microclimate. Due to competition from some more efficient and cost-effective producers in Italy and Spain, demand was vastly reduced in the mid 19th century but over recent years, there has been a mini-revival in the Menton lemons, which can be found in some top quality restaurants and all over the town in the shape of soaps, lemonade (particularly tasty) and limoncello liqueur (not too bad either!). Every February, the famous Fête du Citron (lemon festival) takes place in the city centre, with large sculptures decorated with thousands of fruits on different themes – to be honest I’ve never had the opportunity (or the time, or the inclination) to attend, but if I do one day, it will be for the benefit of the blog readers, so watch this space! Menton is best enjoyed just relaxing and wandering around as there aren’t huge amounts of sites, as I said in the introduction, but here’s a small summary of the main highlights of the town: the town is spread around a promontory with Cap Martin to the west and the Italian border to the east. The old town is located on the 78m Colla Rogna dominating the town centre, with a pedestrian shopping area to the west, heading towards the main railway station and the more residential and very green Garavan neighbourhood extending to the Italian border, which can easily be reached on foot after a scenic walk along the coast. 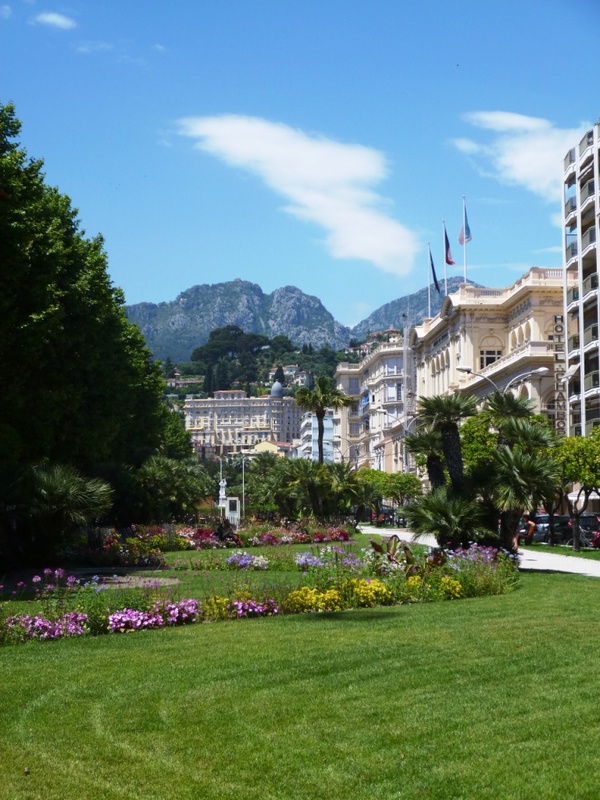 This part of town is the first you will encounter when arriving by bus or train from Nice or Monaco and it’s a pleasant enough neighbourhood to get acquainted with the atmosphere of the town. The pedestrian rue Saint Michel, that runs parallel to the waterfront, has plenty of souvenir shops, clothes stores and snack bars to eat outdoors on a terrace but I’d advise those arriving from the train station to just walk past the casino (modern and nothing special to write home about compared to those located elsewhere on the coast) to the Promenade du Soleil waterfront and enjoy the lovely views over Cap Martin and Italy whilst walking towards the centre. The jardin de Biovès, which links the station to the waterfront is the location of the Fête du Citron and if you look north past the train station and up the Val de Carei, you can catch a glimpse of some sumptuous Belle Epoque buildings like the Winter Palace and of the medieval perched village of Sainte Agnès, just 3 kilometres away as the crow flies. 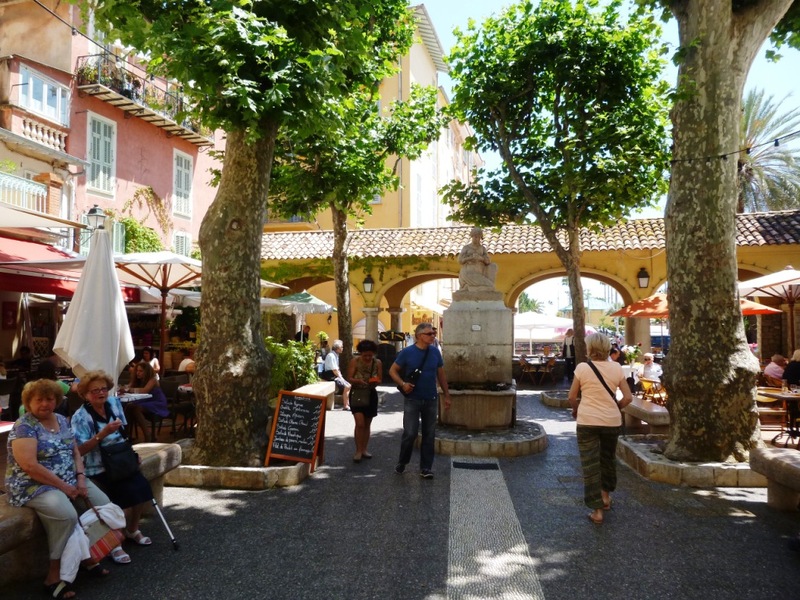 There’s also a rather quaint Provençal market, open in the morning, where you can find all sorts of typical French food and flowers, very pleasant but the same kind of thing that you can find anywhere on the coast. 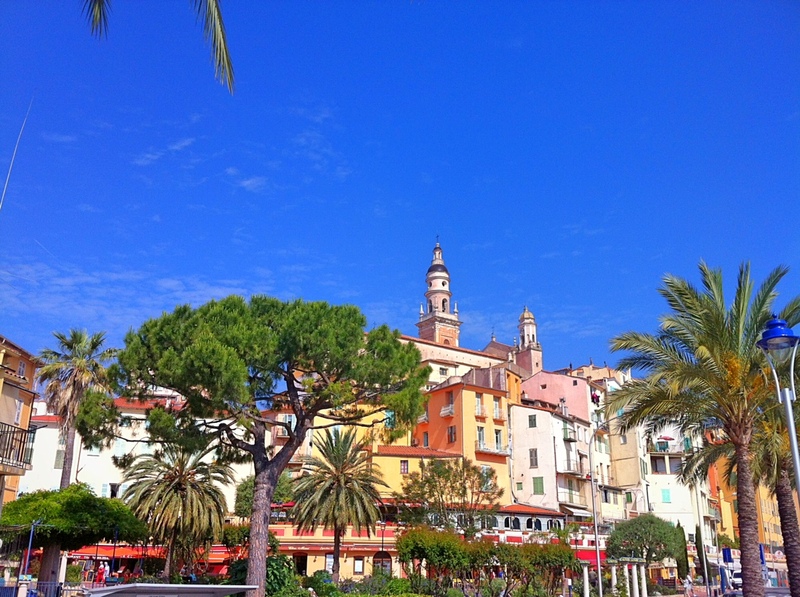 This is one of the main highlights of the city centre of Menton and is pretty much impossible to miss if you are walking along the waterfront. 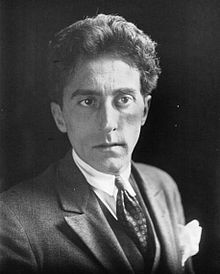 Jean Cocteau (1879-1963) was really an “all-rounder” artist… Starting as a poet, he developed his skills under the influence of various artists in the Parisian intelligentsia in the 1920s to become a painter, a playwright, then a film maker and finally a ceramist: he was especially known for his long personal and professional relation with star French actor Jean Marais, with whom he made most of his most famous films such as Beauty and the Beast and Orpheus. Cocteau moved to the French Riviera in the 1950s and, despite having lived in various towns, Menton is the place that is most associated with his stay. – The new Severin Wunderman collection which is located in a much larger, purpose-built and ultra-modern structure located by the market. 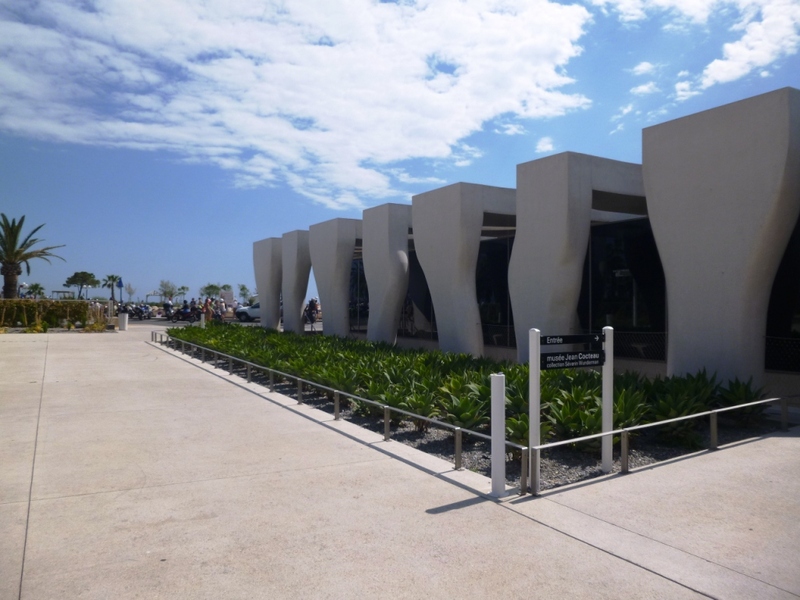 The new Jean Cocteau museum, the Severin Wunderman collection, interesting architecture! I would advise to begin with the more modern building, which has some extracts of films and plenty of behind the scenes photos and drawings made by Cocteau in the 1920s. Despite the building being pretty impressive and immaculately white, I found it rather impersonal and lacking in charm. Which is why I much preferred the old museum: the tiny fortress was built in the 17th century by Monegasque Prince Honoré II and remained abandoned until the late 1950s when Cocteau agreed with the city authorities to make it a museum storing his Mediterranean creations – the museum actually only opened a few years after his death. 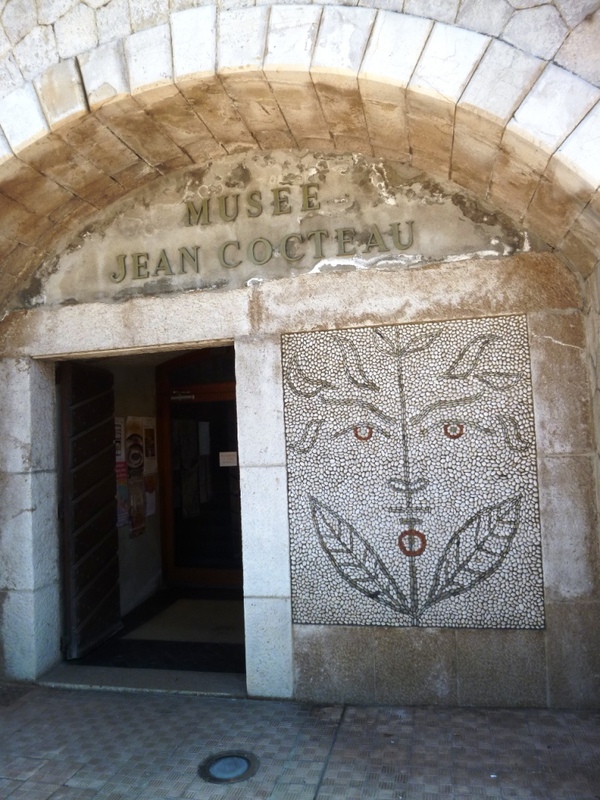 The building is decorated with mosaics and pebbles and reflects much more the very distinctive atmosphere of Cocteau’s works, notably his ceramic creations and some very striking drawings of the sphinx, which is an animal he seemed to develop a certain fascination for whilst writing Oedipus. The admission fee of 6€ gives entry to both museums, I would recommend taking the time to check them out, but only if you are artistically inclined, allow about 90 minutes to visit both locations. They are open from 10am to 6pm every day except Tuesdays. When you are done with the visit of the “Bastion”, take a few minutes to walk to the tip of the jetty – you’ll be rewarded at the end with a stunning view over Old Menton, as well as the coastline between Cap Martin and Bordighera in Italy and over the spectacular green mountain peaks marking the Italian border. 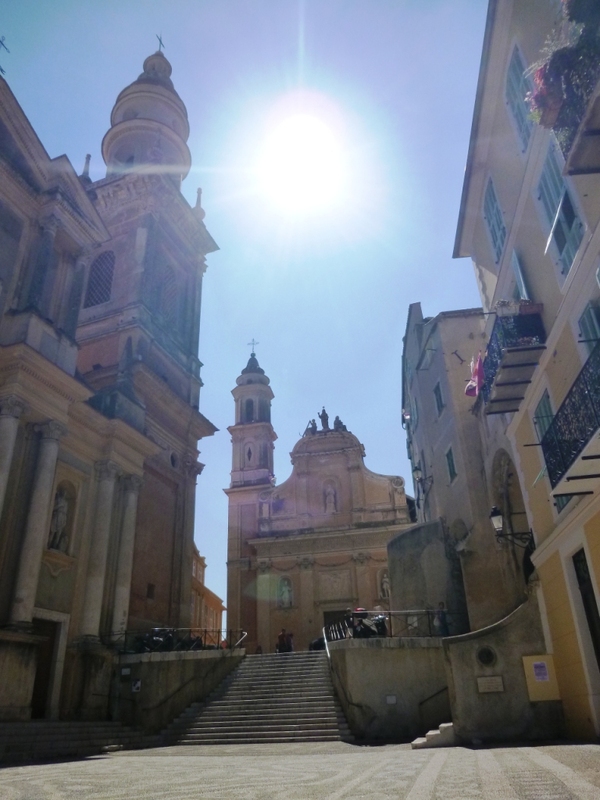 Located on the small but steep Colla Rogna hill alongside the waterfront, the old town is visible from most of Menton thanks to the very distinctive dome of the beautiful baroque Basilique Saint Michel-Archange, which is the symbol of the town. From the pedestrian precinct (Place du Cap), take a moderate slope uphill and then turn right onto rue Longue. You’ll see on your left a ramp that climbs up to the Saint Michel esplanade (parvis Saint Michel) but I’d first advise you to wander down rue Longue, the main artery of the neighbourhood running parallel to the waterfront, to get a feel of the ancient Old Menton, with its relatively high buildings and constant shade – don’t hesitate to climb upwards into the small alleyways, where you can encounter some very quaint gardens and try to imagine how people lived several hundreds of years ago… And also how some people still live now, bearing in mind that there’s no automobile access and that there are no lifts in the old buildings. 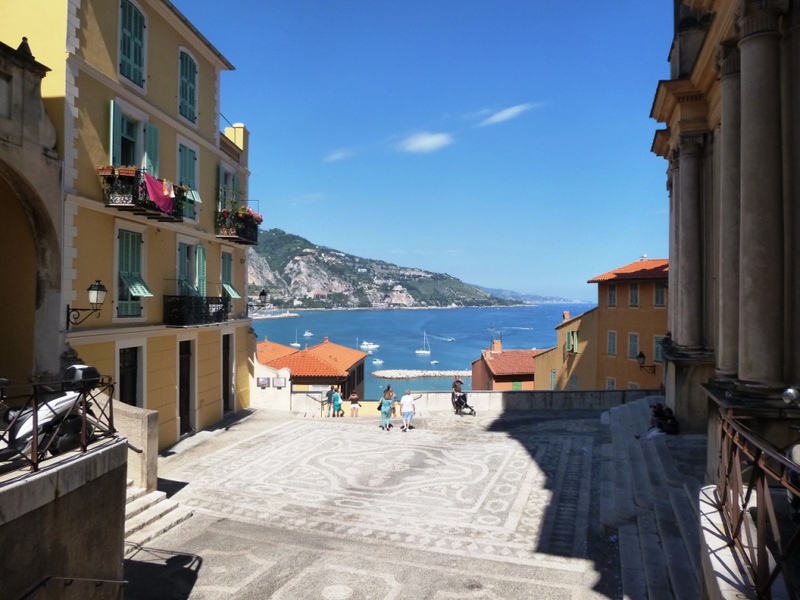 Once you have back-tracked to the foot of Saint-Michel, climb up the steps and you’ll enjoy a splendid view over the beach of Garavan and the Italian coastline in the distance, surrounded by some beautiful architecture. In fact, this is a double square as just above the esplanade, there is a second, smaller one dominated by the equally beautiful Chapelle des Pénitents Blancs – both the Chapel and the Basilica, dating from the 17th century, are worth visiting for their beautiful baroque interiors, though it’s hard to get a full shot of the facade of the Basilica as it is so closely surrounded by the other houses. 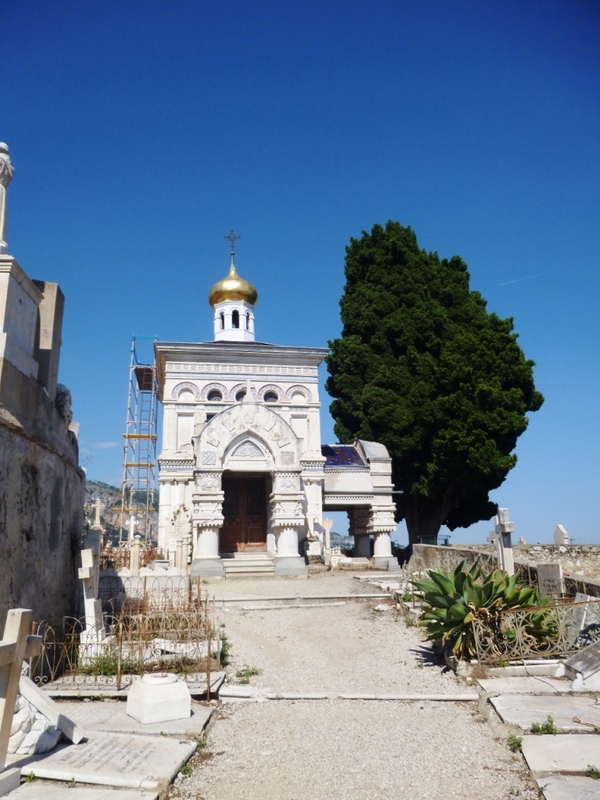 If you want a very special experience, head uphill on the little street to the right of the Chapelle des Pénitents Blancs to visit the Old Castle cemetery of Menton (link only in French). I’ve never been particularly fond of cemetery visits, but this one is a pretty extraordinary experience. The city of Menton created it in 1807 on the ruins of the old castle of the town, perched at 78m above the roofs of Old Menton, and most of the tombs date from the 19th century, with local Mentonnais families mingling with those of the international communities, mainly the aristocracy of the Belle Epoque. Whilst wandering through the silent alleys dotted with beautiful trees, you can admire some beautifully designed tombs and mausoleums, especially the golden Russian dome directly overlooking the spire of Basilique Saint Michel. You can also find the grave of William Webb-Ellis, who founded the sport of rugby. 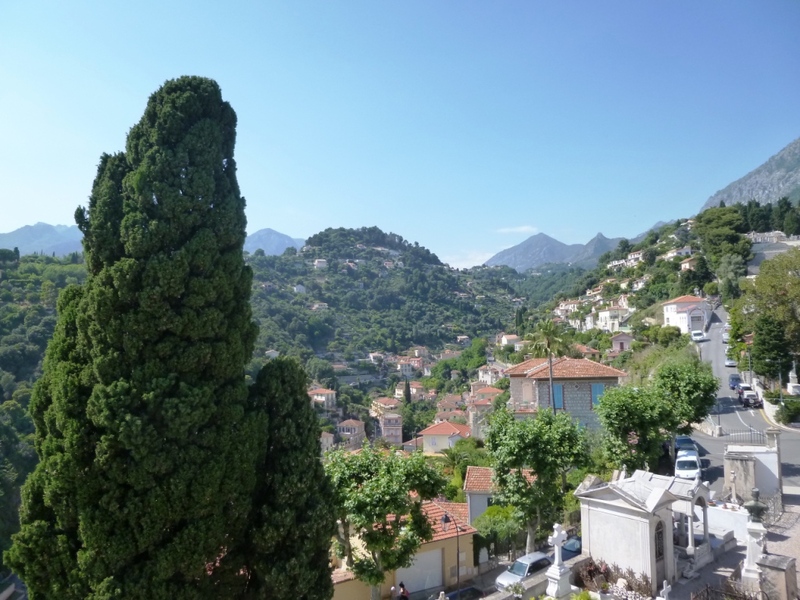 Needless to say, the views are absolutely stunning with a panorama over the red tile rooftops of the Old Town and over the peaks of the Southern Alps, looking away from the sea! 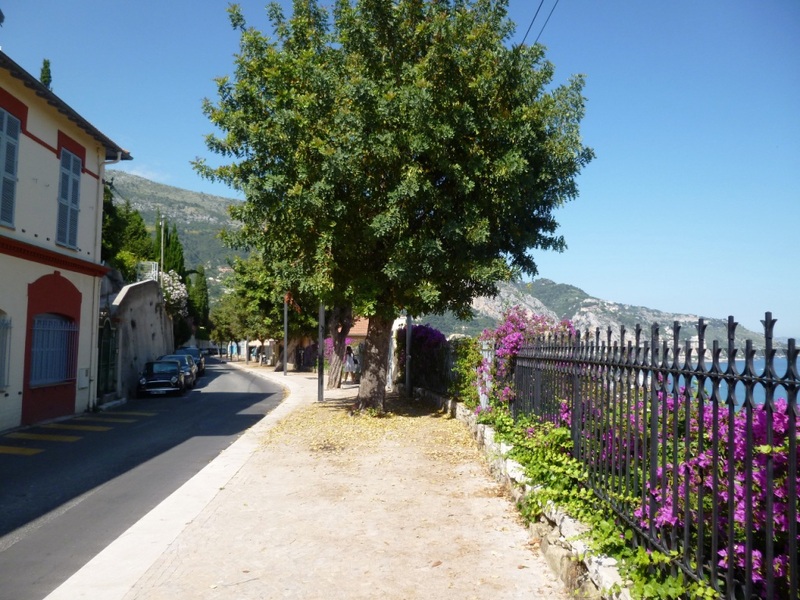 After this, you can either head back down the hill to the waterfront or else carry on at the same level, walking down the Boulevard de Garavan towards the Italian border, enjoying some splendid views walking amidst some lovely villas. After about 15 minutes, you will reach the Botanical Gardens of Val Rahmeh, which will be the object of a new article soon – once you are back at sea level, just walk back along the Porte de France promenade along the beach of Garavan and the harbour towards the town centre, enjoying some more splendid panoramas over the Old Town. Up until recently, Menton unfortunately had a very bad reputation for overpriced and bad quality food, but things seem to have improved and I noticed some pretty attractive and good value for money restaurants by the harbour and in the pedestrian districts, though the town seems to be missing the old family-run places you can generally find in Nice and has its fair share of easily-identifiable tourist traps. If you have had any positive experiences, please send me a comment underneath the article and I’ll check them out next time. 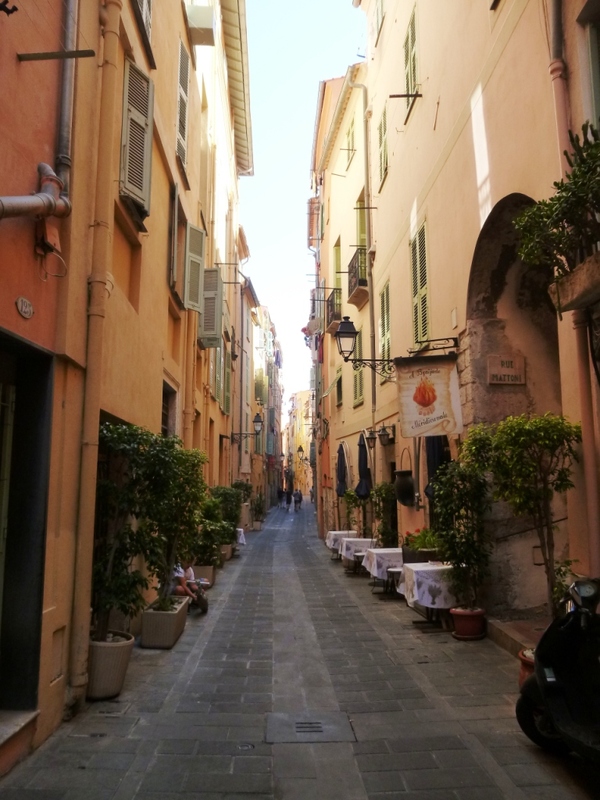 One restaurant that has had some pretty good press is A Braijade Meridiounale, one of the only venues in Old Menton, located on rue Longue, the street running below the Saint Michel Basilica. They specialise in all-exclusive menus with vertical skewers of meat and gambas and menus run from 25€ to 50€ including wine. The atmosphere seems rather nice as they seem to be emphasising the traditional cooking techniques of the South of France. Another place that is very popular is the Al Vecchio Forno pizzeria on the port (Quai Bonaparte), it’s actually on the strip of restaurants facing Italy, at the tip of the pedestrian zone. The pizzas are often recommended by local friends as being some of the best on the coast, but the place is generally packed in the evening (always a good sign) so reservations are essential. 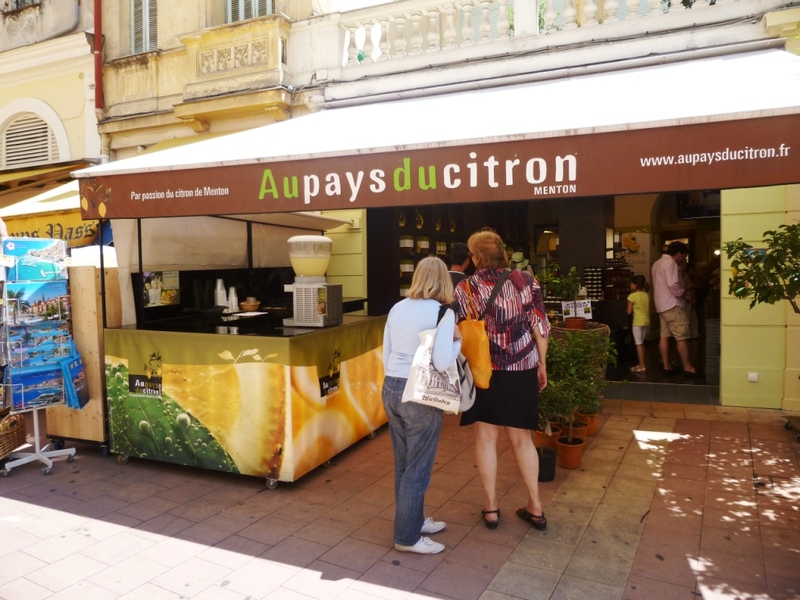 Finally, if you want to taste some typical mentonnais non-carbonated lemonade (called “citronnade”), have a pit stop at Au Pays du Citron on the main pedestrian street – a glass costs 2.50€ and is particularly refreshing during a hot summer’s day. This friendly speciality shop also sells all sorts of lemon-related products, such as jam, sauces and the famous limoncello liqueur. The place to go to sample a refreshing “citronnade”! 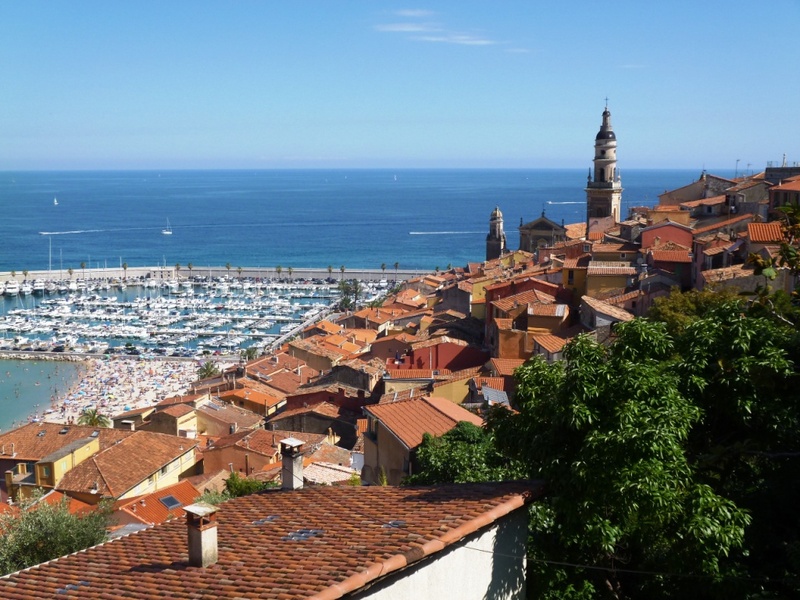 – By bus: line 100 runs all day between Nice and Menton via Monaco and costs a flat rate of 1.50€. 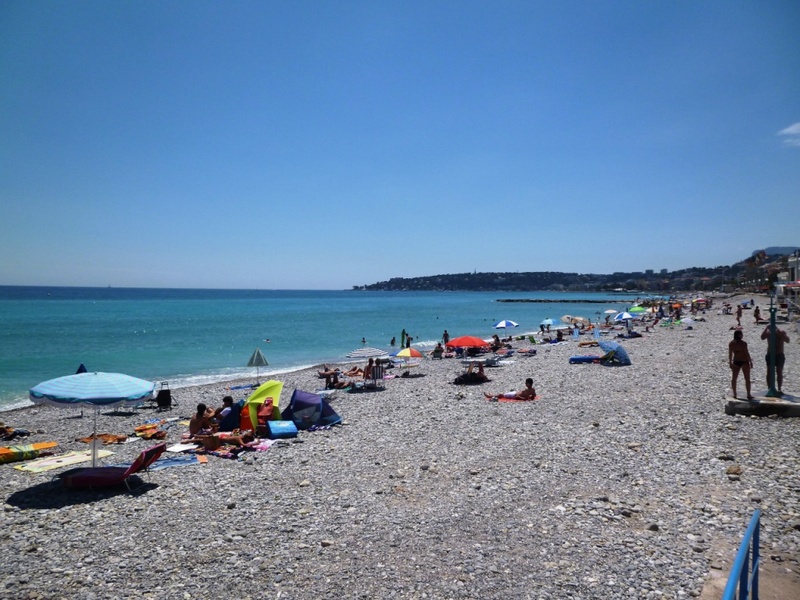 Allow about 30 minutes from Monaco and 90 minutes from Nice depending on the time of day and the traffic. Menton bus station is the terminus but I would advise those arriving to get off at the “Casino” bus stop, which is a bit more central. Timetables can be found on the Lignes d’Azur website (in English, alleluia!). 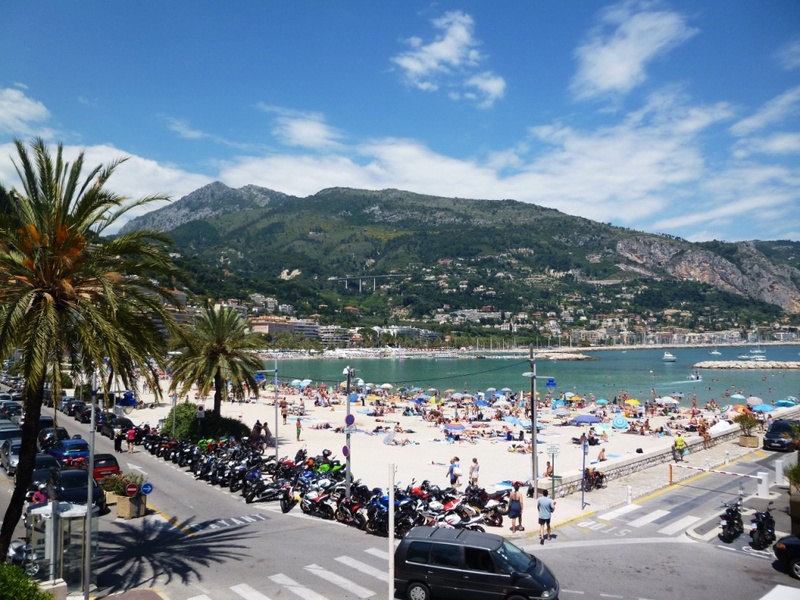 – By car: it’s not that easy to park in Menton, especially in summer or during the Fête des Citrons, but on the plus side, prices are not as horrendous as they are in Nice. There is an outdoor car park by the market and the Cocteau Museum that is pretty convenient; otherwise there is also an underground car park below the town hall, one street behind the pedestrian precinct. This entry was posted in The coastline east of Nice and tagged architecture, Azur, Basilique Saint Michel, bastion, Belle Epoque, Côte d'Azur, Chapel, city life, cocteau, Cote, culture, french, french riviera, french riviera blog, frenchriviera, frenchrivierablog, gardens, Gorbio, Grimaldi, holiday, Honoré II, italy, jean marais, kevin hin, leisure, lemons, market, mausoleum, menton, Monaco, mountains, old castle cemetery, old cemetery, oranges, Pénitents Blanc, practical information, restaurants, riviera, roquebrune cap martin, Russian, Saint Miche, Sainte Agnes, seaside, Severin Wunderman, transportation, travel, vacation, william webb-ellis. Bookmark the permalink. My husband and I ate at the restaurant located at the left of the picture of a small square you posted in this page (there is a fountain in the middle of the “place” at the foot of the Old Town). Would you happen to have another picture showing the name of the restaurant? Or, could you tell us the name of this “place”? We have the fondest memories of our meals there and I was hoping to contact them for the recipe of their fabulously scrumptious dessert “Fondant au Chocolat” so I can surprise my husband at Christmas. Thank you. 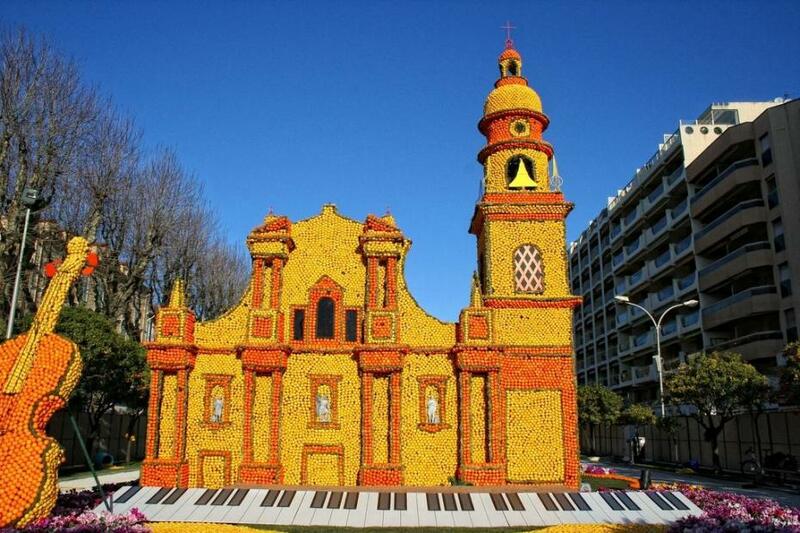 We went to the Fete des Citrons last week and ate in La Trattoria on Avenue de Verdun. It was excellent – we had a huge plate of Buratta with Prosciutto, followed by fresh grilled squids for me and lovely fish for my wife, with two glasses of wine, a beer and a coffee, all for around €55. Only comment would be to ensure you specify the interior if reserving in winter as they are always busy and the covered terrace on the pavement is a bit cold and noisy with traffic. Thanks for sharing this info, it seems indeed like very good value!